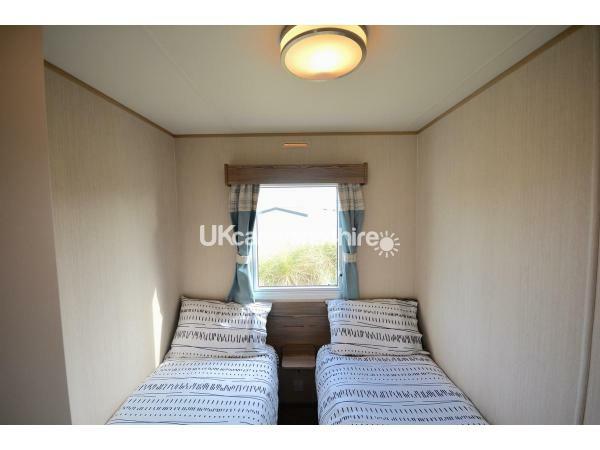 A brand new luxury ABI Horizon Exclusive, 3 bed 8 berth. Located close to the coast path. Modern, spacious open plan living area. Great specification as you'd expect from a 2018 model. Large L-Shaped sofa arrangement with pull out double sofa bed. Corner Dinette with additional stools. Fully equipped kitchen with fridge and freezer compartment, 4-burner gas hob and oven, microwave, toaster and kettle. 3 Bedrooms - One double plus two twin bedrooms. 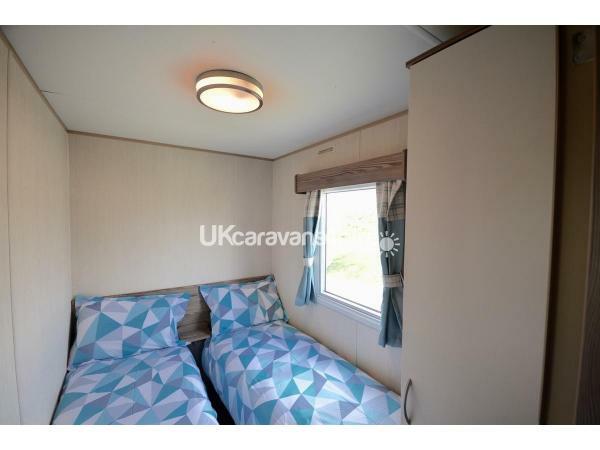 Either twin can be easily reconfigured into a second double bedroom. Shower room with WC & Hand Basin. Air Blown heating and double glazing. Parking for up to 2 vehicles. Perran Sands Holiday Park offers numerous facilities to keep the whole family entertained. There are heated indoor and outdoor pools with flume and a newly constructed lazy river. Other park facilities include adventure golf, kart hire, an all weather sports court for football and basketball and the Sports Hub which holds fencing and archery. On site you will find a well stocked convenience store with in-store bakery, a gift shop and launderette. A hire shop will provide you with anything which you may have forgotten. 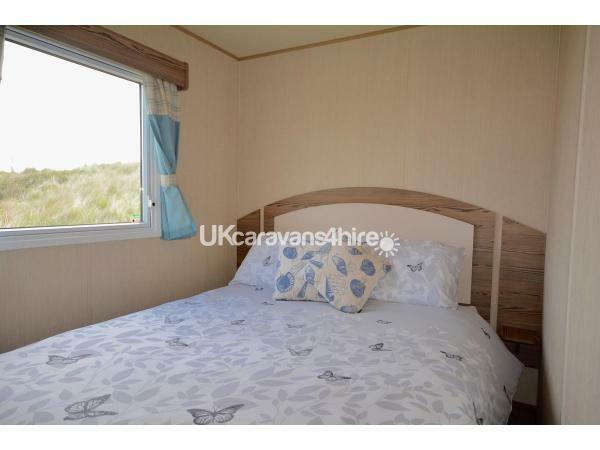 There are numerous places to eat and drink including The Funky Fish Restaurant, Surf Bay which also provides WIFI connectivity, Papa Johns Pizza with a delivery service to your caravan plus a traditional Cooke's fish & chip shop. There is a sports bar open throughout the day and evening for drinks and snacks, with pool tables, Sky TV and an outside seating area. There is the Live Lounge which holds shows and events throughout the day and evening entertainment plus the Fun Works amusement arcade. The village of Perranporth is only a mile away with a scheduled bus service dropping off and collecting from the Holiday Park. Alternatively Perranporth can easily be reached on foot via the coast path running alongside the golf course taking you down onto Perranporth Beach and the famous Watering Hole beach bar. The village itself has a number of interesting shops, cafe's and restaurants, the majority of which are dog friendly. There is also a boating lake and gardens. Perranporth is a famous surfing destination attracting surfers of all abilities. For anyone wishing to try their hand there are a number of equipment hire shops which also offer lessons.